Characters, and Settings, and Snippets, Oh My! 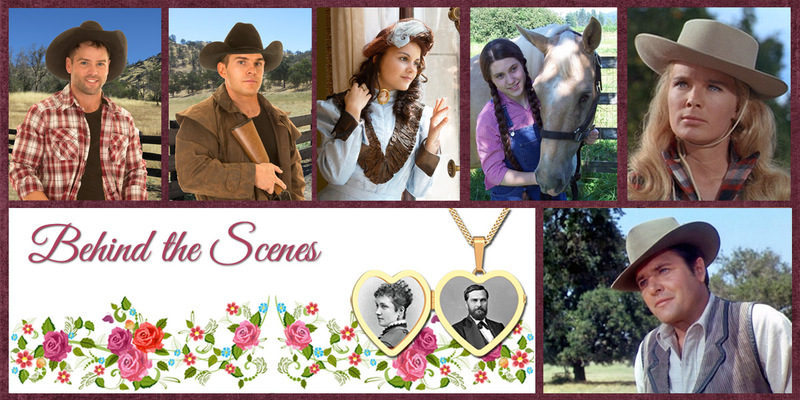 Saddle up and ride through the tabs at the top of the page to learn what is going on behind the scenes for all five series. There are lots of options for each series! The Characters link takes you to any new characters that are introduced in that book. Friends, enemies, and outlaws. They're all there for each book. The Settings link takes you to different scenes from the books. What does Andi's special spot look like? What about the Kings Canyon wilderness in Courageous Love? Explore California--from the foothills to San Francisco Bay. The Behind the Scenes link takes you to the covers and how they came about. Lots of fun photo sessions to explore and see some of the earlier cover concepts for a few of the books. The Snippets link explores "the rest of the story." Any continuing stories or updates can be found here. Andi welcomes comments and ideas for this blog! You can comment below, or email her with suggestions by filling out the contact form on the right sidebar. This is a great idea! And I really like that header!!! This sounds fun! What about some pictures of an older Jenny? I would love to see more pictures of Riley too. Such pretty colors! As the others have said, the header is stunning! You've done great, Mrs. Marlow! How would I subscribe and follow this blog? I just figured out that you can only subscribe to blog POSTS, and everything on this blog has been created as PAGES. So there is no way to see any new content as I update the pages. So sorry! Do you think we could see some pictures of Macy during the time of her Thick As Thieves adventure w/ Andi, and also a picture from a few years later when she is older?? But it will be a while, as I can't work on it 24/7, and I'm starting with the Adventures. Then I will do the Milestones and then go back and do the Beginnings and the Stepping Stones. Sounds awesome! Oh, an I think I may have just asked this question twice on accident. Oops! More fun stuff. Love it! Can't you just hit the back arrow? 😊 If I create a tab for Andi's blog, then another tea must go, as I don't want to double up on the tab bar. Suggestions? Do you think you will do a page for Goldtown books? I ran out of tab room. I will do it if I get around to widening the page, but that means I have to redo the entire banner. Well, maybe I can think of something clever, like a border around the banner or something to avoid having to completely redo it. I Love this banner too!